In the previous post about Maynard, I did end with the first TOOL ep, but that was not the first recorded material with Maynard. He recorded in Michigan with “TexA.N.S.” aka Tex & the Anti Nazi Squad (1984-85) as bassist and later with “Children of the Anachronistic Dynasty” (1986-87) as vocalist and at first also bass and drum machine. These recordings was self-released on cassette. Also a VHS was made with “Children of the Anachronistic Dynasty”, can be found on YouTube but the quality rather hopeless. 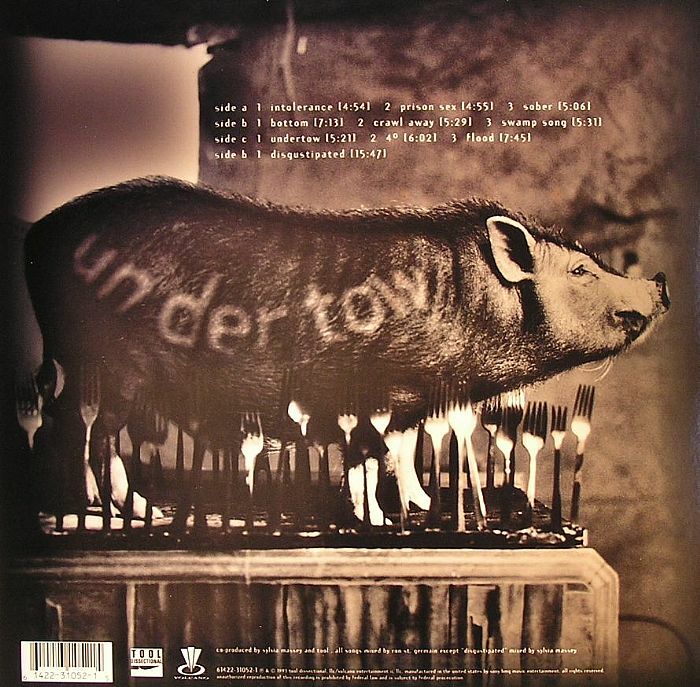 1993 saw the release of their first full length album Undertow, looking in the rearview mirror the album may not be TOOL’s best, but it paved the way for TOOL’s success not to mention a whole new brand of Heavy Metal, with intelligent lyrics and music, some would call Progressive Metal. Peaking at Number 50 on the Billboard 200 and selling 2 million plus copies in the U.S. alone. The album touch a lot of ground, mostly dark desperate angry emotions musically as well as lyrically. Less calm and meditative than their later albums, and maybe more fitting for the less “progressive orientated” metal listener, but still with a fine artistic integrity. 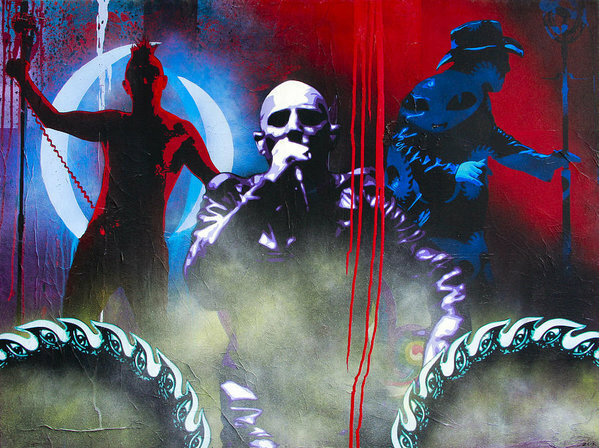 James Herbert Keenan was born in Ohio (US) in 1964, today better known as Maynard James Keenan, front figure and vocalist in three important contempart American bands: Tool, A Perfect Circle and Puscifer all at least in theory still active. As I would consider Maynard one of my absolute favorite Rock vocalists, it is about time that I made some posts about his music, this will be the first also celebrating my 150 blog-post. What I especialy like about Maynard music, is that even though he is clearly rooted in and famous for his Hard Rock/ Prog Metal work, he did not accept to get boxed in one genre. I won’t get into the contents of his lyrics too much not having english as my first language, but I can say that i truely enjoy the deep emotional expressions of his voice whether it is agressive, sensitive or licentious. Maynard with David Bowie and John Frusciante on Bowie’s ”Bring Me The Disco King” used in the soundtrack album for Underworld (2013). Maynard parrents divorced and from the age of three he only saw his father a few time a year, growing up in Ohio amongst what he referes to as dead people. The creative shift came when he moved to Michigan, living with his father during his highschole years, then three years in US army after which he studied at Kendall College of Art and Design in Michigan. During the late 80’s Maynard started playing bass and singing in local bands in Michigan, but what was to catapult his career was the move he made in 1988, relocation to Los Angeles and meeting guitarist Adam Jones with whom he was soon to form Tool. The EP is composed of 7 tracks (the last one “hidden”) the album is Hard Rock/Metal with little sign of the progressive elements that Tool would develop later.